Pnina Tamano-Shata (b. 1981) was born in Wuzaba, Ethiopia, the granddaughter of a renowned Ethiopian rabbi. When she was three years old, her family fled Ethiopia due to civil war and famine. Israeli Hercules planes rescued her family in Sudan and brought them to Israel in a secret mission known as Operation Moses, which brought 8000 Ethiopian Jews back to their ancestral home. (Another 14,000 were brought in 1991 through Operation Solomon.) Tamano-Shata and her family spent several years in an immigrant facility before settling in Petah Tikva. From age 11, she worked to support her struggling family, and in high school was placed in the gifted program. After completing her military service, Tamano-Shata enrolled in law school. She was the president of the school’s Ethiopian Student Union, and was a noted social justice activist. After graduating, she became a reporter for Israel’s Channel 1. Five years later, she was covering a protest by Ethiopians in Israel and instead of reporting with the bias that her bosses asked for, joined the protesters herself. This inspired her to quit the media and enter politics. She joined the Yesh Atid party. When the party won a surprising 19 seats in the 2013 elections, Tamano-Shata became a Member of Knesset. 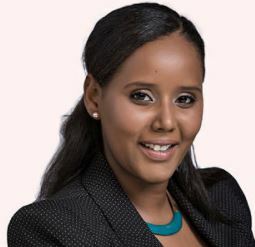 This made her the first Ethiopian woman to hold a Knesset seat. She worked tirelessly for equality and affordable housing in Israel. Although she lost her seat in the 2015 elections, Tamano-Shata is still a vocal activist, role model, and an important leader for the 150,000 Ethiopian Jews in Israel. The truly righteous do not complain about evil, but rather add justice; they do not complain about heresy, but rather add faith; they do not complain about ignorance, but rather add wisdom. This entry was posted in Law, Politics & Military and tagged Ethiopia, Ethiopian Jews, Israel, Israelis, Lawyer, Member of Knesset, Operation Moses, Operation Solomon, Petah-Tikva, Reporter, Sudan, Wuzaba, Yesh Atid on May 23, 2017 by Jew of the Week. Omri Moshe Casspi (b. 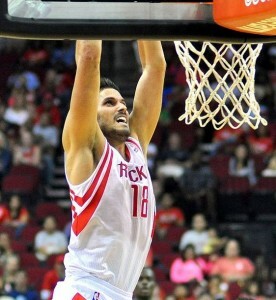 1988) was born in Holon, Israel and grew up playing basketball. At 17, he made his debut for Maccabi Tel Aviv, eventually leading the team to the Euroleague finals in 2008. The following year he was drafted 23rd overall by the Sacramento Kings, making him the first Israeli to be drafted in the first round, and later the first Israeli to play in the NBA. In his first full game he scored 22 points, the most scored by any Kings player in their first start. In 2010 he participated in the All-Star Weekend. He now plays for the Houston Rockets. Last month, he played a game against Gal Mekel (b. 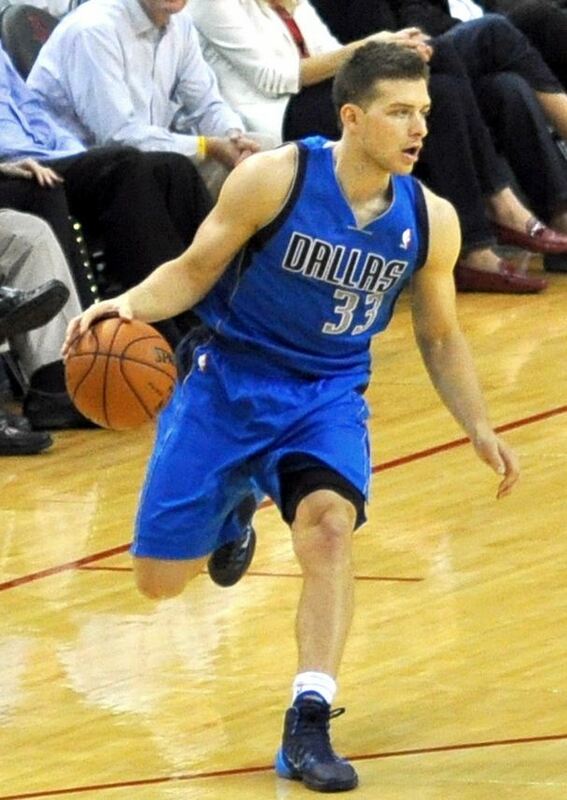 1988) – the second Israeli player in the NBA, who joined the Dallas Mavericks earlier in the year. It was the first time two Israelis faced each other on opposing teams in the NBA. Mekel, born in Petah-Tikva, is a two-time Israeli Super League MVP. He and Casspi are former teammates, having played together for Israel’s national basketball teams, as well as Maccabi Tel Aviv. You see, in the final analysis, it is between you and your God; It was never between you and them anyway. This entry was posted in World of Sport and tagged All-Star, Basketball, Dallas, Dallas Mavericks, Euroleague, Holon, Houston, Houston Rockets, is gal mekel jewish, is omri casspi jewish, Israelis, Maccabi, Maccabi Tel Aviv, MVP, NBA, Petah-Tikva, Sacramento, Sacramento Kings on December 18, 2013 by Jew of the Week.